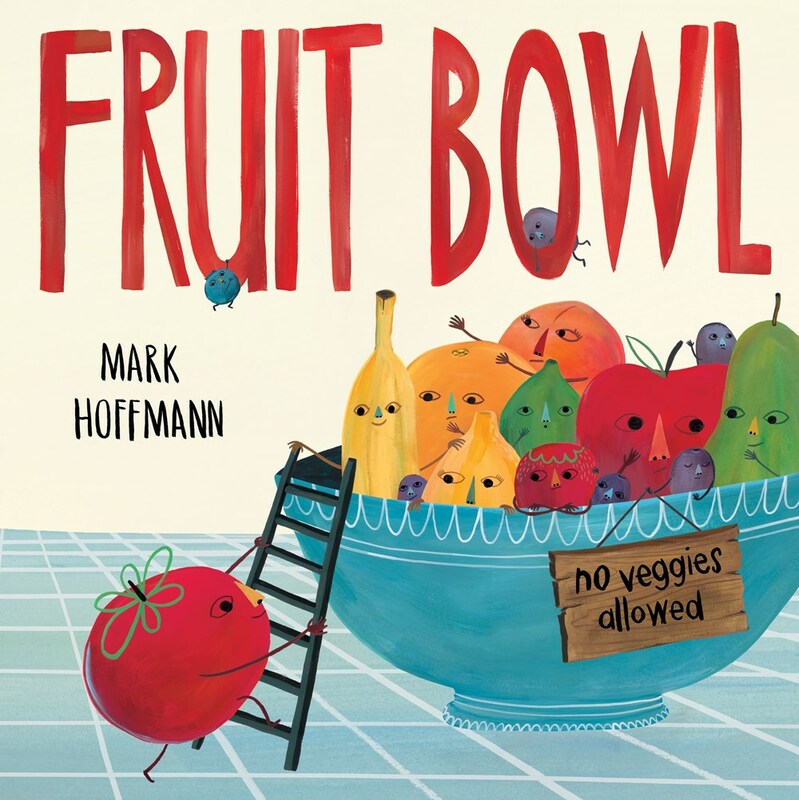 Mark Hoffman's author debut Fruit Bowl is equal parts funny and informative. 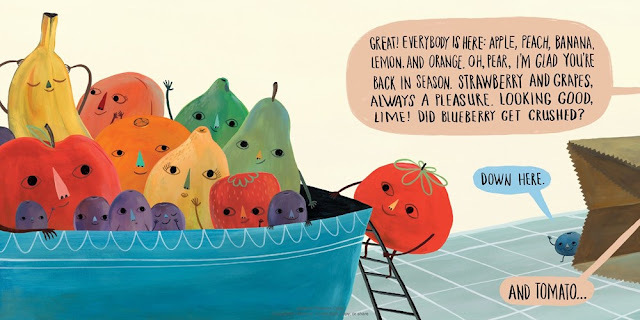 Framed as a conversation between an unseen child and the produce they are putting away, the book asks the question, Who belongs in the fruit bowl? Certainly Tomato doesn't, right? Wrong! It turns out tomato is a fruit, and there are more fruits that people mistake for vegetables, like snap peas, pickles, and peppers. Though the book is nonfiction, it's witty and whimsical, and it covers almost every common fruit and vegetable under the sun. 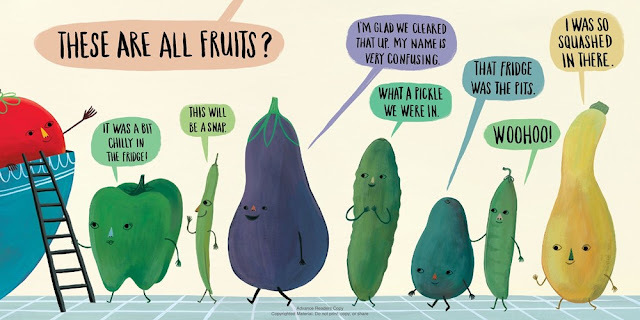 The gouache-and-digital illustrations are vibrant and give each fruit and vegetable a unique little personality. Though the human child is off-screen the whole time, the peach colored speech bubble indicates when the child is talking, and every else's speech bubbles match their individual colors. The book is covert learning at its best (and punniest! ), and the illustrations only enhance how natural the story feels. Fruit Bowl publishes from Knopf on June 12!